This name uses Eastern Slavic naming customs; the patronymic is Dmitrievichand the family name is Kovalyov. Nikolay Dmitrievich Kovalyov (Russian : Николай Дмитриевич Ковалёв; 6 August 1949 – 5 April 2019)  was a Russian politician (United Russia) and member of the State Duma, where he chaired the Duma's Veterans' Committee. 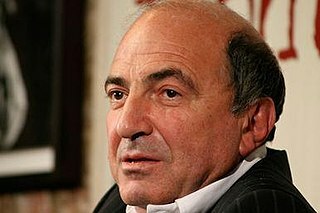 Kovalyov was the Director of the FSB from July 1996 to July 1998, when he was succeeded by Vladimir Putin. Nikolay Kovalyov joined the KGB in 1974. He was appointed General of the Army in 1997. 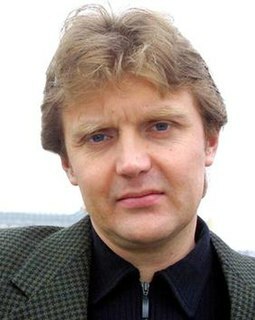 In 1999 he was elected a deputy to the State Duma of the Russian Federation. The Bronze Soldier is the informal name of a controversial Soviet World War II war memorial in Tallinn, Estonia, built at the site of several war graves, which were relocated to the nearby Tallinn Military Cemetery in 2007. It was originally named "Monument to the Liberators of Tallinn", was later titled to its current official name "Monument to the Fallen in the Second World War", and is sometimes called Alyosha, or Tõnismäe monument after its old location. The memorial was unveiled on 22 September 1947, three years after the Red Army reached Tallinn on 22 September 1944 during World War II. The Order "For Military Merit" is a military decoration of the Russian Federation established by presidential decree № 442 of March 2, 1994 to reward military excellence. Its statute was amended three times, first on January 6, 1999 by decree № 19, then on September 7, 2010 by decree № 1099 which modernised the entire Russian awards system and finally on December 16, 2011 by Presidential Decree № 1631. Nikolay Vasilyevich Fyodorov is the First Deputy Chairman of the Federation Council. He is also the former President of the Chuvash Republic in Russia. Nikolay Ivanovich Merkushkin is a former Governor of Samara Oblast and a former head of the Republic of Mordovia in Russia. He held the latter office from September 22, 1995 to May 10, 2012. From January 24 to September 22, 1995 he was the Chairman of the State Assembly of Mordovia. Boris Vsevolodovich Gromov is a prominent Russian military and political figure. From 2000 to 2012, he was the Governor of Moscow Oblast. Nikolay Vasiliyevich Karpol, is a retired women's volleyball coach. Known as 'The Howling Bear,' Karpol was a regular at the Olympic Games, with his teams usually earning a last call on the Olympic podium, winning gold medals in 1980 and 1988 and taking the silver medals in 1992, 2000 and 2004 for a total of five Olympic medals. Nikolay Vyacheslavovich Rastorguyev is the lead singer of the Russian group Lyube. Nikolay Nikolayevich Krasovsky was a prominent Russian mathematician who worked in the mathematical theory of control, the theory of dynamical systems, and the theory of differential games. He was the author of Krasovskii-LaSalle principle and the chief of the Ural scientific school in mathematical theory of control and the theory of differential games. Nikolay Anatolyevich Kovalev is a Russian sabre fencer. He won a bronze medal in the 2012 Summer Olympics in London and a gold medal in the 2014 World Championships in Kazan. He is three-times World team champion and twice European team champion. Kovalyov, often spelled as Kovalev, or Kovalyova, Kovaleva, is a common Russian surname, an equivalent of the English "Smith". Aleksey Ivanovich Aleksandrov is a Russian lawyer, businessman, and politician. The Bronze Night, also known as the April Unrest and April Events, is the controversy and riots in Estonia surrounding the 2007 relocation of the Bronze Soldier of Tallinn, the Soviet World War II memorial in Tallinn. Aftermath of the Bronze Night refers to the reactions and consequences of the Bronze Night, the controversy and riots in Estonia surrounding the 2007 relocation of the Bronze Soldier of Tallinn, the Soviet World War II memorial in Tallinn. Nikolay Ilyich Travkin is a Russian and former Soviet politician, former member of the Supreme Soviet of the Soviet Union, member of State Duma and member of the Government of the Russian Federation (1994-1996). Sergei Adamovich Kovalyov is a Russian human rights activist and politician and a former Soviet dissident and political prisoner. Nikolai Evgenievich Sorokin was a Russian theatre and film actor, theatre director, educator, and People's Artist of Russia (1999). He was artistic director of the Rostov-on-Don academic drama theatre of a name Maxim Gorky and a deputy of the State Duma of the 3rd convocation. Nikolay Timofeyevich Antoshkin is a retired Mokshan Russian Air Force colonel general, Hero of the Soviet Union and politician. Born in 1942 in Bashkortostan, Antoshkin was drafted into the Soviet Army in August 1961. After graduating from military aviation school, he served with reconnaissance aviation units. He became commander of the Air Force of the 20th Guards Army in May 1980. After graduation from the Military Academy of the General Staff, Antoshkin became commander of the Air Force and deputy commander of the Central Group of Forces. Oleg Ivanovich Kovalyov is a Russian politician and former governor of Ryazan Oblast (2008-2017). Nikolay Nikolaevich Trofimov was a Soviet and Russian theater and film actor. People's Artist of the USSR (1990). By-elections to the 7th Russian State Duma are held to fill vacancies in the State Duma between the 2016 election and the 2021 election. ↑ "State Duma lawmaker, former FSB head Nikolay Kovalyov dies aged 69". TASS. 6 April 2019. Retrieved 6 April 2019. ↑ "Who orchestrated the plan to discredit Russia?" (in Russian). Kommersant. 2006-11-25. Retrieved 2006-11-26. Computer translation.